Discover Masai Mara National reserve and great rift valley lakes Naivasha and Lake Nakuru and the Hell’s gate the only walking and cycling park. 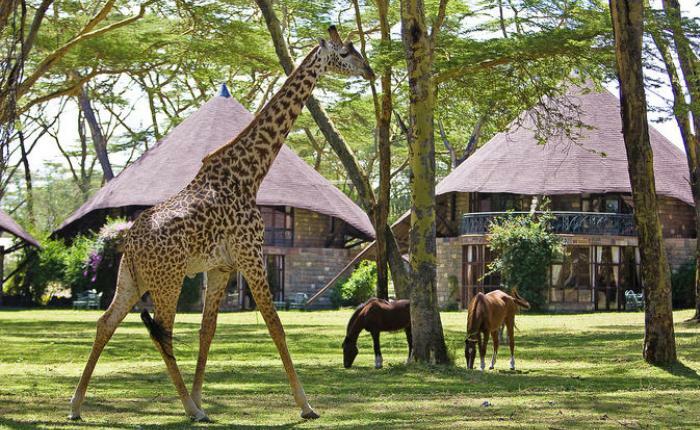 While in this tour you will be able to visit 3 Parks; Masai Mara known as the ‘7th wonder of the world’ -wildebeest Migration, the pink Lake Nakuru home to millions of flamingoes and home of the white and Black Rhino, Hells gate and Lake Naivasha – in this park there are a lot of different activities like walking into the gorges and boat ride and cycling and viewing of the great Rift valley escarpment. Our driver will pick you up from the airport then depart by road to Lake Nakuru National Park. You will reach Nakuru before noon. You will proceed to the park for the days game drives with packed lunch. You will be confronted with one of the worlds greatest ornithological spectacle as well as an abundance of wildlife within this small park. You will get a chance to spot the White rhino, the lion, the Hyaena, baboons, waterbucks among other wildlife. Dinner and overnight at Lake Nakuru Lodge/Sopa Lodge/Similar on Full board. Day 3: Lake Naivasha-Masai Mara. After breakfast depart the Masai Mara for Nairobi. Stop for panoramic views of the Great Rift Valley en-route. Arrive in Nairobi in the afternoon. Drop off to your Nairobi Hotel or transfer to the airport in time for your flight back home.